Renovations to this colonial-style home in the 1970s and ’90s had left some strangeness inside. “The home had grand spaces, 10-foot ceilings and five fireplaces, although not the ideal kind of spaces for a household with three young children,” says architect and interior designer Ili Nilsson of Terra Cotta Properties. The children were sharing areas, the areas for study and play proved strangely shaped and cramped, along with a fireplace had ended up in a hallway. The owners had worked using Nilsson on a smaller project before and called on her again when “they couldn’t take their kitchen for yet another moment,” she states. 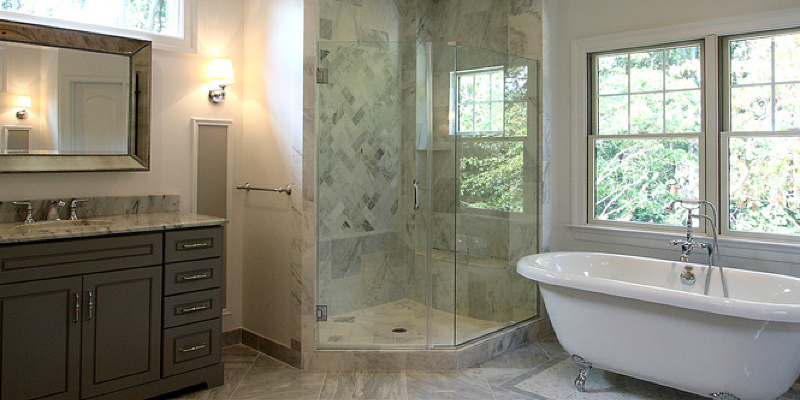 This time they had a massive project in your mind: a home improvement renovation and additions. The new spaces include a family room, screened-in porch, mudroom, first-floor guest bedroom and second-floor master suite, for example, bedroom, closet and bathroom. Year built: 1918; renovated in the ’70s, ’90s and again in 2012. Mature trees surround the stately home, which is in a historical district. Inside, the proper parlor on the front of the home is first and remains structurally unchanged; the exact same goes for the front entrance using its spiderweb transom. “This was the very first room I did for all these customers, a few years before we began renovating,” says Nilsson. Due to this earlier job, she had a very clear comprehension of their preferences, lifestyle and demands before diving into the renovation and addition. The group gutted and reconfigured the kitchen ; now it opens into a new family room. At the kitchen’s center, a massive island comes with a live-edge slab of hackberry timber and Arctic White Corian counters. The countertop is only about half an inch thick — it’s wrapped to create a fuller profile. A Carrara marble countertop and backsplash encircle the sink, along with habit mirror involving the glass cabinets emulates a window. Mom’s home base, complete with a hidden printer, is only behind the wet bar. These pantry doors balance out the refrigerator on the other side of this wall. With three children, the household buys dry goods in bulk. In addition to dry products, the pantry additionally retains a charging station and tiny appliances. Relocating and reconfiguring a stairs with landings to one directly run enhanced the width of the home. “Wood strips operate off every other tread nosing and create a banding effect that provides a streamlined feel,” Nilsson says. The living area off the kitchen is part of the newest accession. The conga drums belong. The doorway on the left side of this photograph leads to the screened-in porch. A mudroom only past the family room provides children a place where they could kick off their shoes and save them. Hooks and cubbies keep coats and backpacks from cluttering up the rest of the home. Here is what the new mudroom looks like in the outside. Double doors create a large opening into the new screened-in porch, easy to access in the family room and kitchen. “Tongue and groove floors out here gives it a more finished appearance,” Nilsson says. A massive table seats everyone for al fresco household meals. The new two-story addition runs along the rear of the home. The dining room and mantel are first to the home. The group updated the lighting, paint, fireplace surround and hearth, mixing in midcentury modern and modern elements. First good wood pocket doors direct in the formal parlor into the library/study. New custom built-ins flank the fireplace; just out of view they maintain a TV and press equipment. “This room serves as the adults’ TV room,” Nilsson says. The new full bath on the first floor serves as the guest bath. A tall mirror’s centre divider taps available to show a recessed medicine cabinet. The oldest daughter’s room isn’t usually so neat but is staged superbly for its close-up. It retains two of these daybeds with discretionary trundles for sleepovers. The fireplace isn’t functional, so it’s safer for a young child. One of the cabinetmakers’ many endeavors was crafting this built-in dressing table in the master bathroom. The beautiful part includes a marble top, outlets for hair appliances and a flip-up mirror. The historical commission ordered the size and placement of this window, which will be flanked by identical walnut vanities and mirrors. The group adjusted the Crate & Barrel mirrors to hang from the ceiling to work with the windows. To place the plumbing on the exterior wall and then mount the bathtub faucet this manner, Nilsson created this clever tiled ledge, which meets code for plumbing requirements and provides a handy shelf for art and a bath-time book and drink. More custom closets bedeck Mom’s dressing room. The design team also included interior designer Courtney Davis, building manager Maurie Hullender along with his next in command, Scott Madsen.